Out of stock since Friday, 2 November 2018. Due back soon. 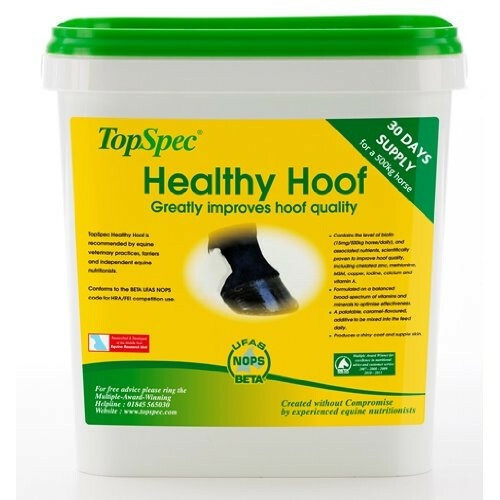 A complex and highly developed product, TopSpec Healthy Hoof provides a long-term solution, not a quick-fix to persistent hoof troubles. Designed to drastically improve general hoof quality over 9-12 months, this product not only contains the peak levels of all relevant micronutrients scientifically proven to promote hoof health, but also a broad spectrum of other essential micronutrients to speed up absorption and improve the effectiveness of the supplement. 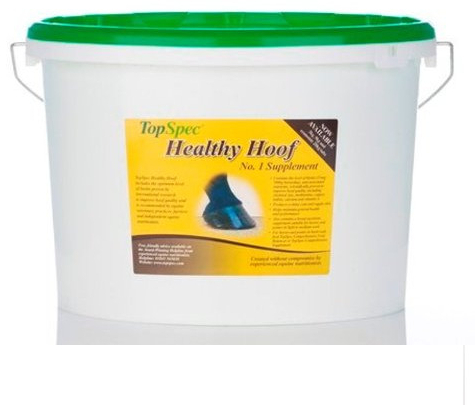 At 15mg/500kg per day, TopSpec Healthy Hoof contains the clinically proven levels of Biotin that improve hoof quality, boosted with Zinc, Copper, Iodine, Vitamin A and Methionine, all shown to increase the effectiveness of Biotin. 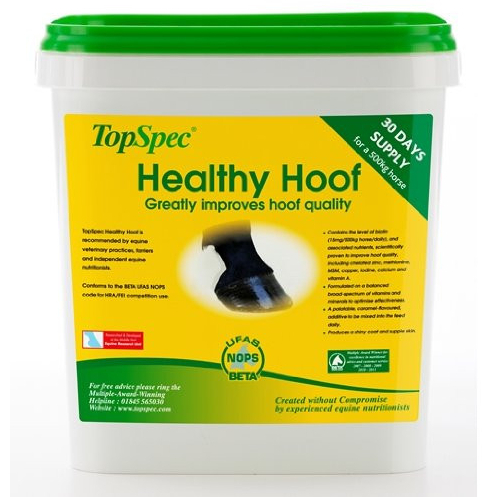 Once optimum hoof quality is achieved through TopSpec Healthy Hoof, it is recommended that the dosage be continued indefinitely, as without continued supplementation, deterioration is a real threat. 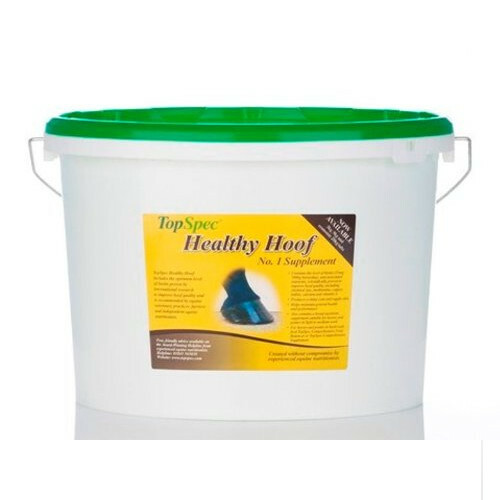 There are currently no questions for Top Spec Healthy Hoof for Horses - be the first to ask one!